The Syrian regime is threatening to crack down on a government stronghold in the southwest of the country and put pressure on Russia to keep Iran and its deputies out of a fight that could provoke tensions with Syria's neighbor Israel. 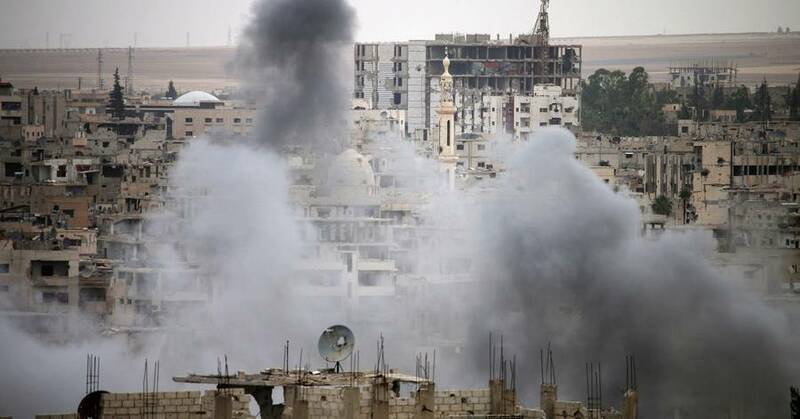 The leaflets had forced rebels to surrender and artillery attacks on their positions in the southwestern province of Daraa. One of the regime's strongest militias was transferred from the capital, Damascus, to the region, where the pro-regime media reported on preparations for a "comprehensive attack" by government forces. a commander of a Daraa rebel group. "There is a propaganda war being waged by the regime." The maneuvers have brought into focus a particularly complicated piece of Syria bordering on Israel and Jordan. For nearly a year, Russia, the US and Jordan have supported a tough ceasefire that has allowed Syrian rebels to build relative stability in the southwest of the country, spanning the provinces of Daraa and Quneitra. The prospect of Iranian troops present in government-controlled areas joining an offensive increases tensions with Israel and complicates Moscow's relations with Tehran. He wants to recapture large parts of the country, but Moscow also wants to avoid being involved in a fight with Israel and the US. The current ceasefire in the region provides that no foreign troops should be present there. After the Islamic State approached the defeat in Syria, Israeli officials said they would see a welcome and growing opportunity for Russia to push Iran completely out of the country. "My assessment is that the Russians are interested in stabilizing their achievements in Syria, tremendous achievements, and I think they too understand that if the Iranians continue the current course, they will lead to an escalation and their own Plans will be torn out of the water, "said Chagai Tzuriel, director-general of the Israeli intelligence ministry to reporters on Monday. "I think they do not want that too." who said that only Syrian forces should be deployed in southern Syria. Iran faces growing pressure for its presence in Syria. In recent weeks, Israel has made other minor attacks on Iranian military targets, as Tehran did not allow it to settle in Syria. 2 requirements for a new nuclear deal with Iran, including Tehran, which cuts its military interventions in the Middle East and withdraws all its forces from Syria. On Tuesday, Netanyahu affirmed the Israeli position that Israel would not allow Iranian military bases anywhere in Syria. Russia, which directly intervened in 2015 for the Assad regime, has vowed not to launch air strikes in support of a military offensive in the southwest. But it could be difficult to stagger in Iran. Israeli officials say there are signs that Russia is ready to push Iranian troops, including Iran-backed Hezbollah militia, back from the Israeli border with south-western Syria. However, Israel does not expect this possibility alone. "We trade across Syrian territory against Iran's military presence," Netanyahu said Tuesday. "An Iranian emigration from southern Syria alone will not be enough." It remains unclear how much pressure Russia actually has on Iran, whether in the south or in any other part of Syria. Southern rebel commanders say Iranian and other foreign Shiite militias are stationed in government-loyal parts of Daraa province. After the Syrian regime has emerged victorious in other parts of Syria against anti-government rebels, relations between Russia and Iran have come under pressure due to divergent interests. Russia's response to Israeli attacks on Iranian targets in Syria is muted. Meanwhile, the US has expressed its concern that any offensive in southwestern Syria could jeopardize stability along Jordan's and Israel's borders. On Friday, the US State Department warned that the US "would take determined and appropriate action against the regional ceasefire in response to the Assad regime's violations," but officials did not say what those moves would be. -Suha Ma'ayeh Dov Dear, Thomas Grove and Michael R. Gordon have contributed to this article.